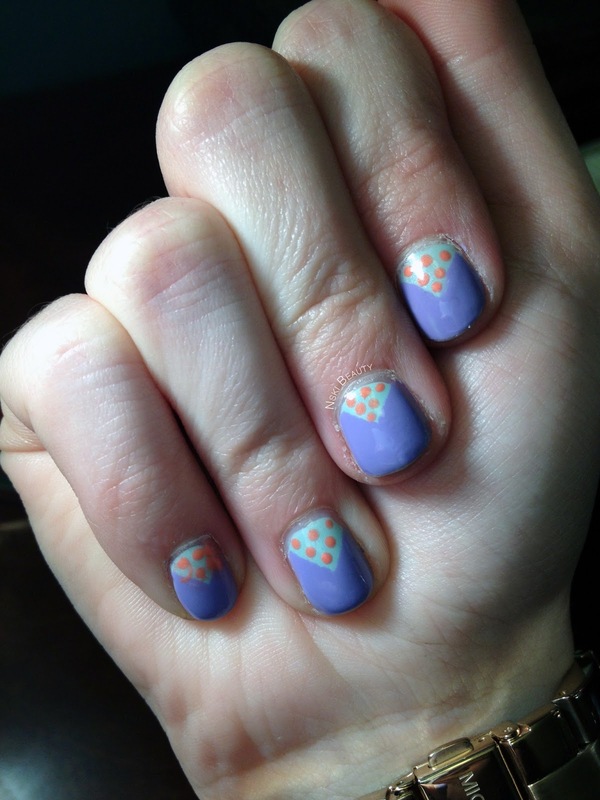 I've been on a creative kick it seems, from last week's half moon, my cousins polka-dot mani and now this week's triangle mani! My pinky nail is messed up and really irritates me but I was trying to go for a cheetah print at first then decided to go with polka dots and with some much time already invested in to the mani I didn't want to start over so I left it. 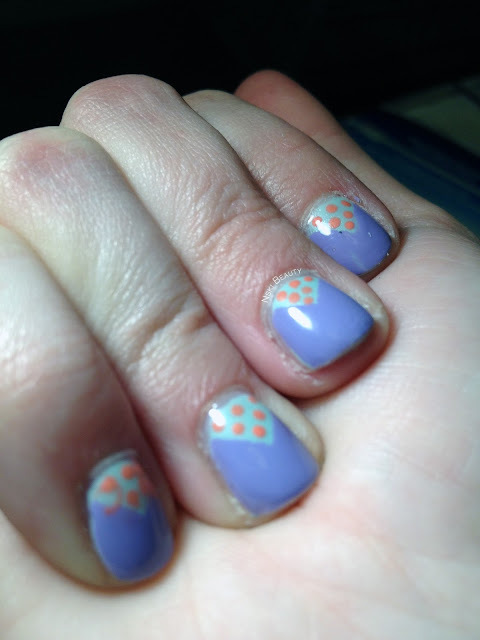 I have to admit I'm getting pretty proud of myself that I am testing my limits in nail art and have a lot coming up with the designs. For this design I started with Keep Calm, Paint On and allowed it to dry completely. Next I applied Tart-y for the Party leaving a triangle of the base color visible. 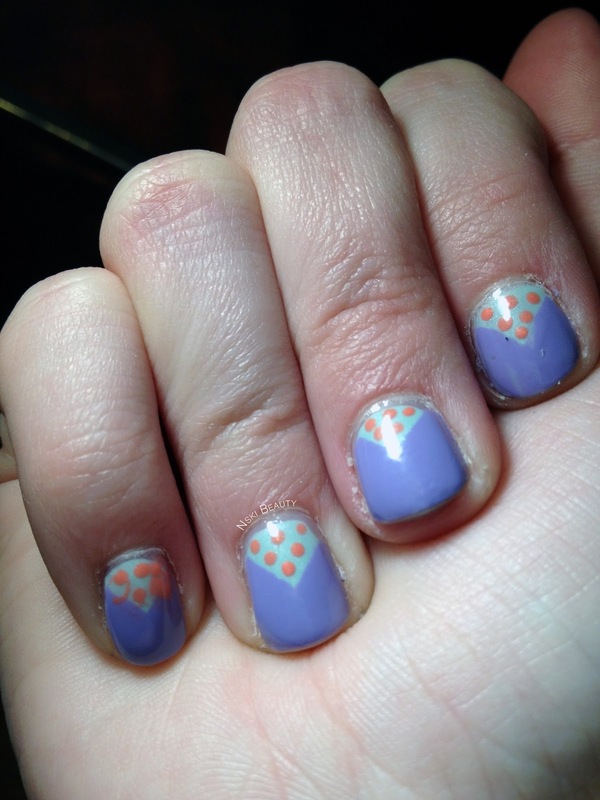 After that I took my dotting tool and placed dots inside of Keep Calm, Paint On using Mimosa's Before Mani's.